Who doesn't love a good penguin movie? If you loved the Madagascar movies, you will love this! The Penguins of Madagascar were given their own TV series, and now they have been promoted to the elite team even further, by having their very own movie! Personally, ever since I was little, penguins have always been my animal/bird, so of course, I fell in love with them the moment I saw them in the original Madagascar movies...so I have a big fat smile on my face, as I type this, because I know I'm going to love the new movie so much! The best thing about the Penguins of Madagascar is that they already have plenty of dolls and toys available, as they are already go loved and adored by fans of the Madagascar movies, and of the TV series. If you can't wait any longer, then you can click here right now to visit Amazon.com's dedicated page to all the toys and dolls that go with Penguins of Madagascar. 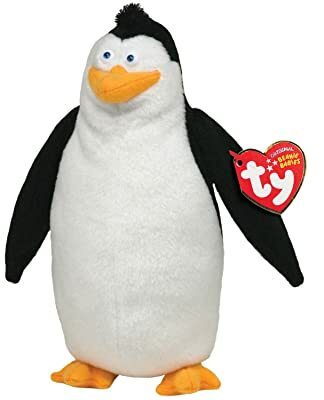 However, just to complicate things a bit, right now, there aren't many toys and dolls that go with the official movie - but there are plenty of Penguins dolls that go with the TV series...so if you're not fussy, there's plenty. But don't worry, I'll make it clear on this page, which are the toys and dolls that officially go alongside the movie release. Be sure to add this page to your bookmarks and keep checking back, because I'll keep adding more and more fabulous Penguins of Madagascar dolls and toys, as they get released. 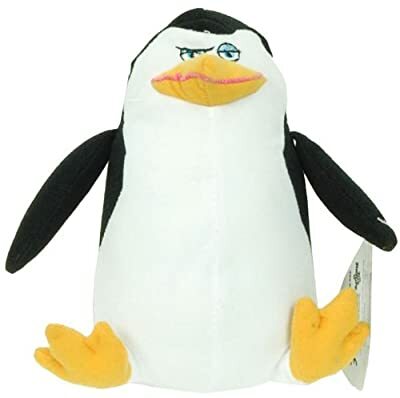 Do you prefer the Madagascan Kowalski? Penguins of Madagascar, plush dolls! Need I say anything? This is what we want! A decent sized, cuddly version of the (in my opinion) the coolest penguin of the bunch, Skipper! The steely, questionable look on his face is enough to tell you how much of a funny character our Skipper is. Simple, yet highly desired. Perfect as a gift, for a fan of the films, or just a fan of Penguins in general. Popular with a lot of popular, here is the cute little Kowalski. Voiced by the infamous Chris Miller (mostly noted for his vocal work on shrek) this character will take pride of place amongst your doll collection. If, like me, you've always wanted your own penguin (..why can't we just help ourselves to one at the zoo?) now you can! 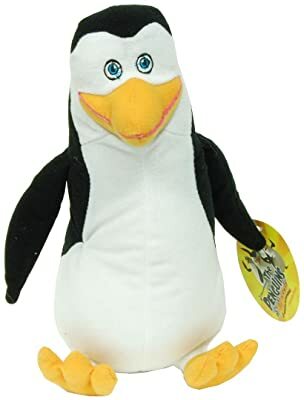 Soft and cuddly, and made from a polyester fibre construction, this Kowalski doll will bring huge amounts of pleasure and fun to any child, or adult alike. To offer something a little different, in the shape of the hapless penguin, Rico, we have a beanie baby! Ty Beanie Babies are reowned for their high quality and popularity across the world. So if you love Penguins of Madagascar, then this really is the best of both worlds for you! ...More Penguins of Madagascar Dolls & Toys coming soon!